Update: Look out for the 70,000 point sign-up bonus on Barclaycard Arrival Plus currently available to new applicants with first year annual fee waived! A new competitor has just entered the ultra-competitive travel rewards credit card space. I’m referring to the “Barclaycard Arrival Plus World Elite MasterCard,” issued by you guessed it, Barclays Bank. Talk about a mouthful. Not sure why they had to include both “plus” and “elite” in the title, but I suppose they want you to feel really important. This is the latest credit card offering from Barclays, which has made a huge push into the U.S. market over the past several months. It complements their other offerings, including the Barclaycard Ring and Barclaycard Rewards World MasterCard. What Makes the Barclaycard Arrival Plus World Elite MasterCard Unique? Let’s get down to brass tacks here. Is this credit card special, or just another run-of-the-mill travel rewards card? Well, after combing through the details, it does offer some nice little perks, including double miles on ALL purchases. That’s certainly a big plus, seeing that the competitors (such as Chase Sapphire Preferred) only offer bonus points in certain categories. 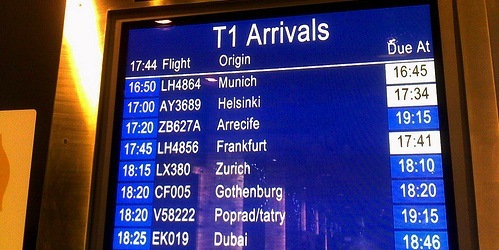 So you don’t have to worry about whether the Arrival Plus offers a bonus in a certain category. You’ll always get 2X points on every purchase (similar to the Fidelity Amex card and Capital One Venture Rewards). Simple enough. 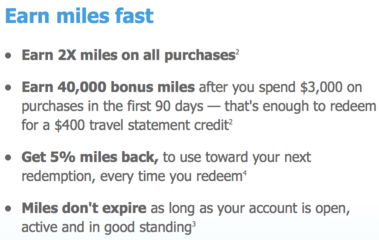 Additionally, Barclaycard is currently offering a 60,000 mile sign-up bonus if you spend $5,000 or more in the first 90 days of cardmembership. Assuming you meet the minimum spending requirement, you’re looking at 70,000 points (60k bonus + 5k regular points x2). 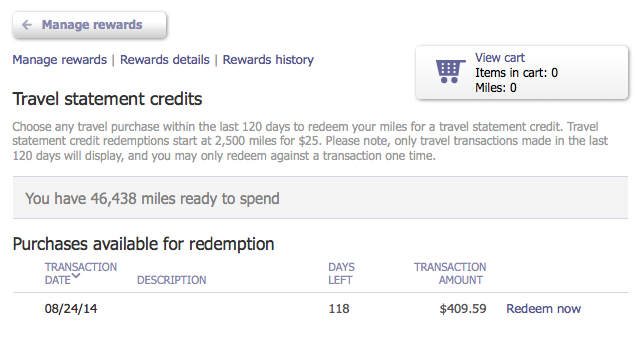 That’s worth at least $700 in statement credits, as every 10,000 miles can be redeemed for $100. If you redeem the miles, you get 5% of your miles back via the company’s Carry-on Miles program, so they really count for a bit more. Put simply, if you choose to use 70,000 miles to offset a recent travel purchase, only 66,500 are actually used. That would leave you with 3,500 and get you that much closer to your next redemption. The redemption of miles is also a breeze, as they’re good for straight up statement credits, similar to the American Express Blue Sky card. In other words, you book your travel on any website or through a travel agency (so you get the best deal), then simply redeem your miles for the statement credit. You don’t have to jump through hoops and book via a crusty credit card company’s travel website. You can select any travel purchase within the past 120 days and redeem your miles for a travel statement credit toward all or a portion of it. Travel includes anything from plane tickets to campgrounds and car rental agencies, not to mention Uber and other ridesharing companies. You can also apply the credit to cruise line purchases, travel agencies, discount travel websites, and much more. Either way, you must have at least 10,000 miles to redeem them for travel purchases. You can also redeem miles for gift cards and other merchandise. There is no limit to how many miles you can earn, and miles do not expire. Woo hoo. To redeem your miles, you simply log on to the Barclaycard website and make your way to the manage rewards tab. From there, you can redeem travel statement credits (for best value!). It will show you a list of recent purchases available for redemption, those that meet the definition of travel. Then you simply click on redeem now and it will present a list of mileage amounts you can use to offset the purchase. In my example above, I used 41,000 since the number was pretty much spot on. Some people like to use lower amounts to avoid any rounding up, but that’s your call. From there, it’ll take about a day for the transaction to reflect on your account. And just like that, your travel purchase is effectively erased! I just saved $400 off a recent hotel purchase (I whited out the name above) thanks to the sign-up bonus I received after spending $3,000. One last thing. Remember you get 5% of your miles back when you redeem for travel. I just redeemed some drinks I had at a Marriott bar that counted as travel. As you can see from the screenshot above, my redemption of 6,300 miles resulted in 630 coming back to me when the card used to offer 10% of miles back. Not too shabby! Update: The card now offers a 5% miles rebate instead of 10%, so the screenshots above don’t reflect current redemption rates! I’ll use the rest of my miles for Uber going forward, assuming I don’t have any other travel purchases anytime soon. That makes redemption a snap. A few more numbers to consider…the Barclaycard Arrival World MasterCard doesn’t offer 0% APR, meaning you can’t avoid finance charges while meeting the minimum spend. You must pay off your balance in full to avoid any interest. The credit card APR is variable, depending on how good your credit is. They offer 0% APR for 12 months on balance transfers, so it can be a good option if you want to transfer an existing credit card balance. This is also a no foreign transaction credit card, meaning it’s perfect for spending abroad. Not only that, but it also has chip and signature technology. And seeing that Barclaycard is owned by British bank Barclays, there’s a good chance your credit card will actually work abroad! Oh, and there’s an $89 annual fee on this puppy, though it is waived for the first year, which is another plus. Lastly, you get access to your FICO score for free so you can track your credit health. So that’s that. All in all, the new Barclaycard Arrival World MasterCard is a good all-around travel rewards credit card. It’s got a strong 40k sign-up bonus, hassle-free travel redemption, no foreign transaction fees, and double miles on ALL purchases. Before I pump up this card too much, I wanted to end this post with a warning about fake miles. While I highlighted a lot of the good about this card, there is one major downside (aside from the annual fee). 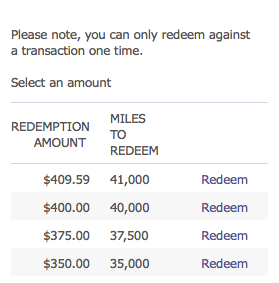 If you don’t redeem your miles for travel, and instead redeem them for say cash or gift cards, the redemption rate is less than half as valuable. In other words, those 40,000 bonus points would only be good for $200 cash, or $200 worth of gift cards. And you won’t get 5% of your miles back! Barclaycard certainly doesn’t advertise this, though it is clear once you visit their redemption page. That being said, your best value is to redeem the miles for travel purchases you made with the Barclaycard Arrival card. If you don’t travel often, or don’t pay for your travel using this card, it’s basically just a card that earns one cent per dollar spent. So you’d be better served with another card that gives you some multiple of cash back instead. Just keep that in mind if you aren’t a big traveler, or if you have another credit card you use for travel purchases. Otherwise you might be doing yourself a major disservice. I use this card so I also wanted to share my personal experience. I applied mainly to take advantage of the 40,000 bonus points, which are good for more than $400 in travel credits. As noted, I used that bonus to snag a free $400 per night hotel room. It was well worth signing up for the card. I also got a round of drinks from a hotel wiped out, so I’ve gotten nearly $500 in value out of it so far. And I have more miles still sitting in my account. My gripes with the card are the minimum $25 redemption (now $100), which doesn’t allow me to remove the many sub-$10 Uber fares charged to the card, and the fact that anything other than travel only earns 1% cash back. However, I recently discovered that I can buy Uber gifts for myself for $25 a pop, and those just happen to be the perfect amount to erase with the Arrival miles. So if you have excess miles, or simply want to erase Uber purchases, consider buying gifts on the Uber website so they can be redeemed as travel purchases. Not anymore now that minimum redemption is $100. Either way, the sign-up bonus should be enough to give it a whirl. I may cancel before the year is up though because I use the Amex Fidelity card and may also go for the Citi Double Cash card as well, both of which are a bit more flexible. Tip: If you’re looking for cash back instead, check out the new Barclaycard CashForward card instead. FYI, there is also a no-annual fee version called the “Barclaycard Arrival World MasterCard” that comes with a 20,000 mile sign-up bonus if you spend $1,000 or more (in purchases) during the first 90 days of membership. That works out to a bonus of $200 when redeemed for travel. It comes with 2X miles on qualifying travel/dining purchases and 1X miles on all other purchases, which is pretty darn aggressive and certainly better than 50% more cash…but you might be better off taking the 40k sign-up bonus if you can meet the minimum spend. See also: Citi AAdvantage credit card review. I like the 2x miles on all purchases, a good alternative to the Fidelity Rewards Amex because you can get straight cash back without having to worry about investing the proceeds. You can get cash back with the Fidelity Amex as well, along with gift cards and merchandise and so forth at the same low rate as the Barclaycard Arrival, but those options don’t make much sense. However, if you travel then the sign up bonus on Barclaycard Arrival makes it the winner by far.